Jon T. Sundvold was appointed to the University of Missouri Board of Curators in 2017 by Governor Eric Greitens. He currently serves as chair of the University of Missouri Board of Curators, the governing body of the University of Missouri System. A native of Blue Springs, Sundvold is president and founder of Sundvold Financial, headquartered in Columbia, MO since 1997. Sundvold received a bachelor’s of science degree in finance from the University of Missouri-Columbia College of Business in 1983. A member of the MU basketball program from 1979-1983, Sundvold went on to play nine years in the National Basketball Association. A Jefferson Club member, Sundvold was also elected to the University of Missouri Athletic Hall of Fame and National High School Hall of Fame. He was honored by the MU Alumni Association as an outstanding Alumnus at the 32nd Annual Faculty-Alumni Awards Banquet and served as the grand marshal in the 2009 Missouri Homecoming festivities. In December 2015, he was chosen by the Missouri Sports Hall of Fame as a Sports Legend and enshrined with a bust located in Springfield, MO. Sundvold also serves as president of the Missouri Junior Golf Foundation, which recently opened the Ken Lanning Golf Center in Jefferson City. It is the first 9-hole course in the country especially designed to meet the unique needs for children and individuals with disabilities. Sundvold is a member of The Crossing Church in Columbia. 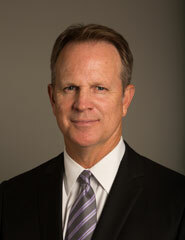 He is married to Tamara Gilmore Sundvold, who is a 1985 graduate of the MU College of Business. They have three children: Wilson, 2015 graduate of the College of Engineering and MBA from the Trulaske College of Business in 2016; Caroline, current business school major at MU; and Anna Kate, junior at Rock Bridge High School.